This article describes how you can add Storage Node to Acronis Management Server. There are two ways to add Storage Node to Acronis Management Server: automatically during installation and manually after installation. 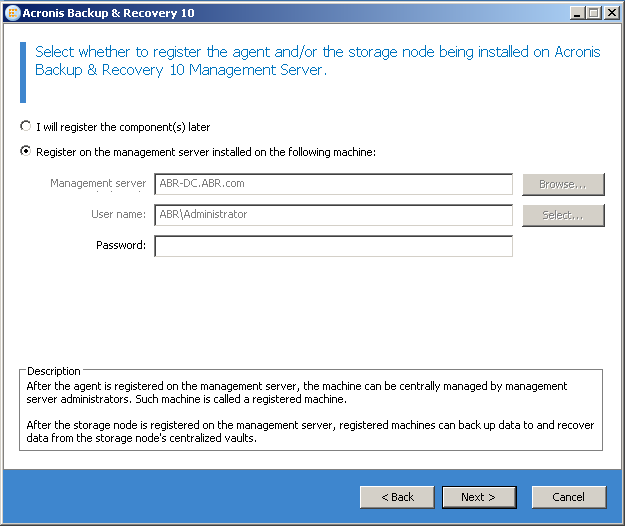 Acronis Storage Node can be added to 1 Acronis Management Server only.